Sprint to AT&T: "You'll never take our Freedom"
Six months ago Sprint decommissioned and shut down its Nextel push-to-talk network. While the service is dead, Sprint appears to have other plans for the brand. According to a source from Techcrunch, Sprint wants to reintroduce Nextel again as a brand for business services. This is apparently part of a larger branding overhaul coming in the first quarter of 2014 in which Sprint plans to launch a new prepaid service: Sprint Freedom. If the source information is accurate it points towards Sprint raising its game to target businesses. It also fits with the idea of the company (now owned by Japan's SoftBank) continuing its march into consolidation, shoring up to present a more competitive challenge to AT&T and Verizon. The Nextel service will be part of a bigger push to court businesses, being a "premium" offering consisting of the 4G fixed and mobile broadband services. Another part of the plan, says the source, concerns Sprint's prepaid businesses Virgin Mobile and Boost. 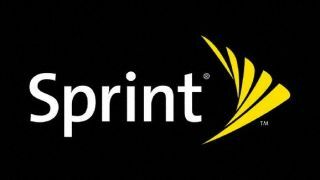 They will be merged into a single service named "Sprint Freedom". It's not entirely clear at this time but it seems that this could mean the scrapping of the two existing brands. While these plans may sound like logical consolidation moves, the question will be whether Sprint will manage to juggle all the change without dropping anything or anyone in the process. In the meantime, it is also not clear how a service called Sprint Freedom would sit alongside other services also called "Freedom" — such as Sprint's international calling plans, not to mention the Freedom Pop "free" wireless service that is a wholesale customer on Sprint's network. "It's been a contentious issue for many," the source said of the internal response to the changes.